Huntington Beach High School attendance options include four different schools plus an alternative choice school. That means when you live in Huntington Beach, or the surrounding areas, you would need to know which school you should attend. The choice is determined by where you live and where you fall in a set of boundaries that have been determined by the school district. 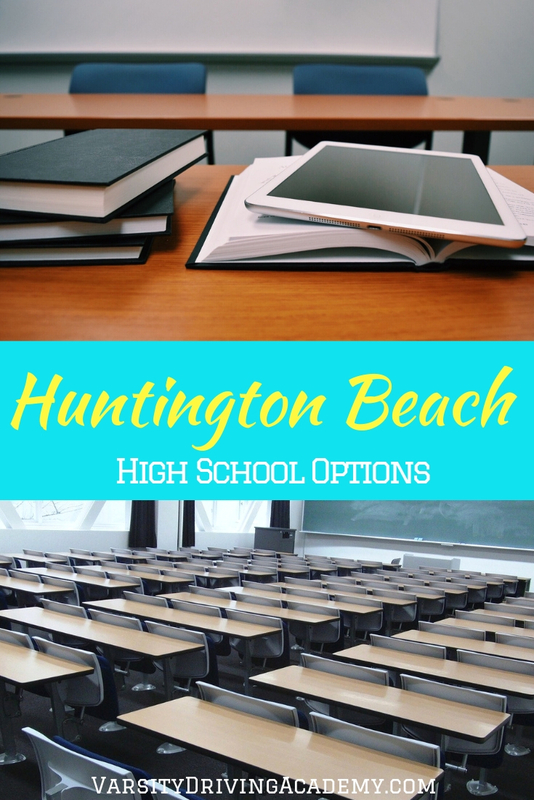 Where you live in Huntington Beach will determine which Huntington Beach high school options are available to you and your family. Some schools have complicated school boundaries but Edison High School has one of the more straightforward boundaries you’ll see. The South East boundary follows along the Santa Ana River Trail from the beach all the way up to Garfield Avenue. The boundary then follows Garfield Avenue all the way across until it hits Brookhurst Street. We follow Brookhurst Street down to Adams Avenue where we follow Adams Avenue down to Beach Boulevard. The boundary follows Beach Boulevard all the way back to the beach. If you live within these boundaries that means Edison High School is where you will be directed when looking for a high school to attend. Here is a perfect example of how some high school boundaries can get a little complicated. 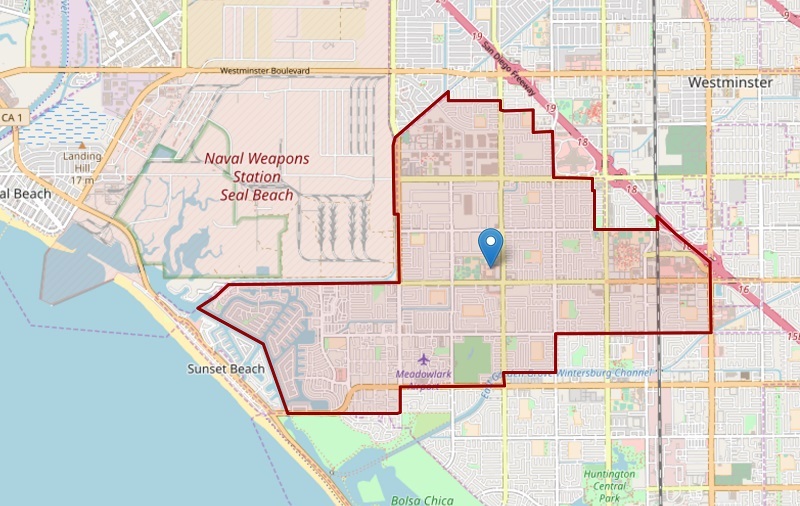 Huntington Beach High School takes care of most of the western side of Huntington Beach and the majority of the downtown area. 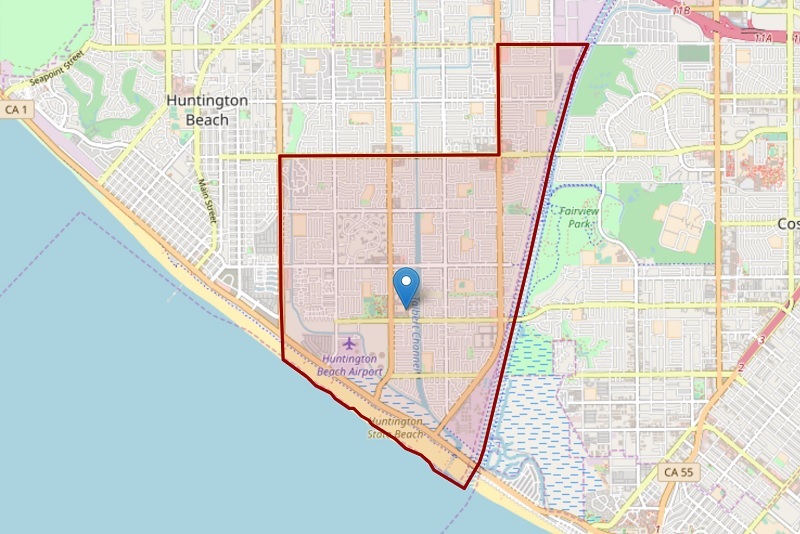 As you will see from the map above, both Huntington Beach High and Edison High share some of the area, mostly between Beach Boulevard and Brookhurst Street. 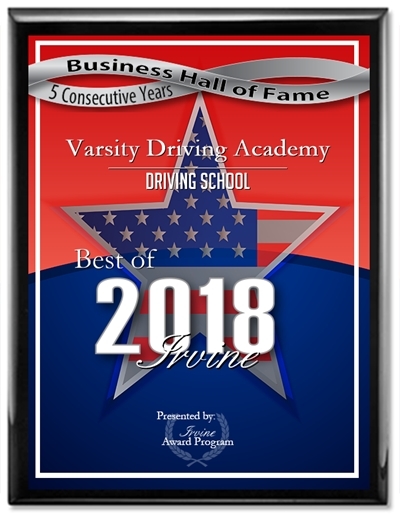 That means if you live in the square that is made up of Beach Boulevard, Garfield Avenue, Brookhurst Street, and Adams Avenue, you can choose between either Huntington Beach High or Edison High. Yet another perfect example of confusion along the boundaries. Marina High School’s eastern boundary is a bit if a jigsaw puzzle. 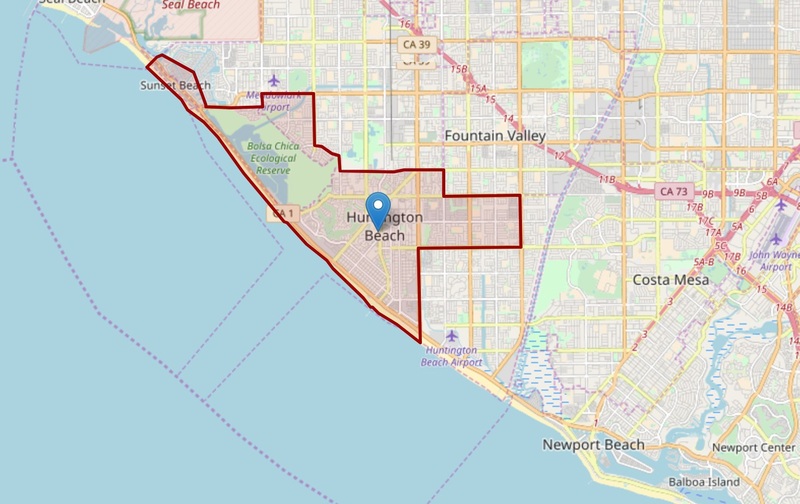 However, the easiest way to describe this boundary is to say that Marina High School takes care of the northern side of Huntington Beach. Much of the boundary follows the Naval Weapons Station Seal Beach and then jigsaws its way along the San Diego Freeway or the 405. A few of the cut-ins can be found, from the freeway as a starting point at McFadden Avenue, Bolsa Avenue, Chinook Drive, and Harold Place. Ocean View High and Marina High have very little overlap near Heil Avenue but for the most part, there is not enough overlap to give many families two options. You will find that Ocean View High takes care of most students along the Huntington Beach/Fountain Valley border as well as the Westminster border. 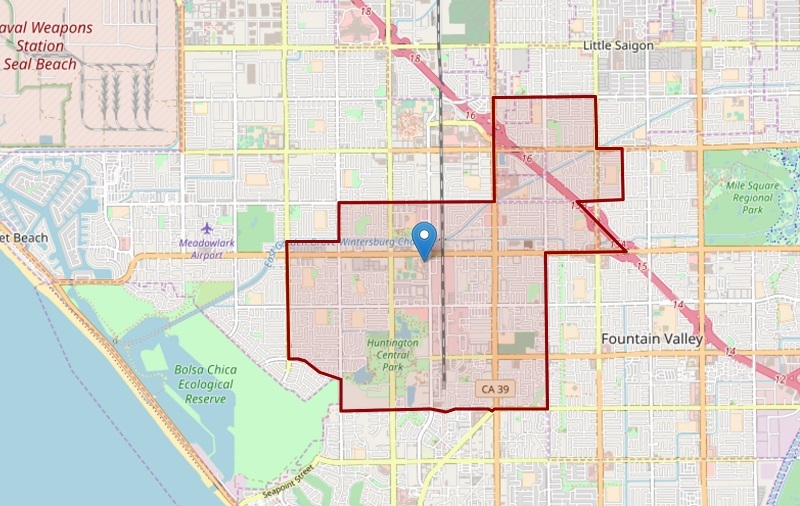 While this boundary seems a bit complicated, it is relatively straightforward with boundaries at Ellis Avenue, Springdale Street, Heil Avenue, the 39 freeway, McFadden Avenue, and Magnolia Street. 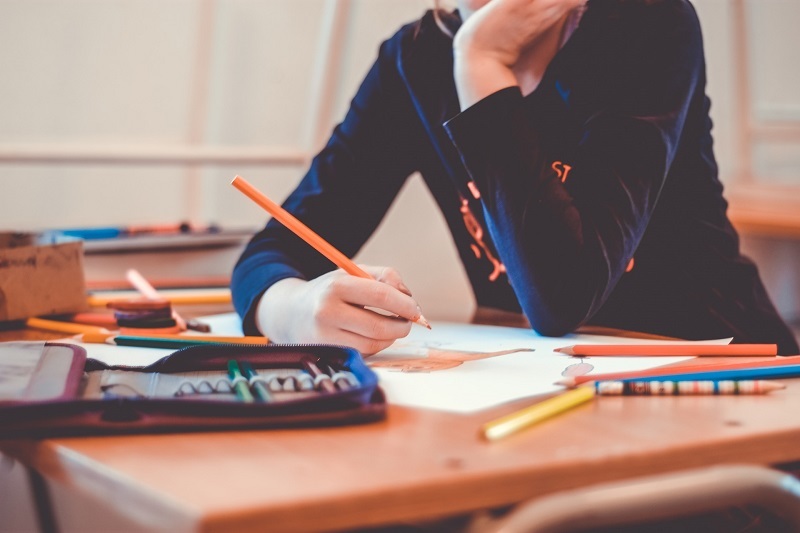 Coast High School is an alternative high school and accepts any students who choose to attend as long as they live within the Huntington Beach Union High Unified School District. That means any student who lives in Huntington Beach may attend. That makes figuring out the boundaries very simple.